Born in Denver, Colorado in 1974 and growing up in Winnipeg, Jason Botkin has been addicted to pushing the charcoal and ink for a long time. 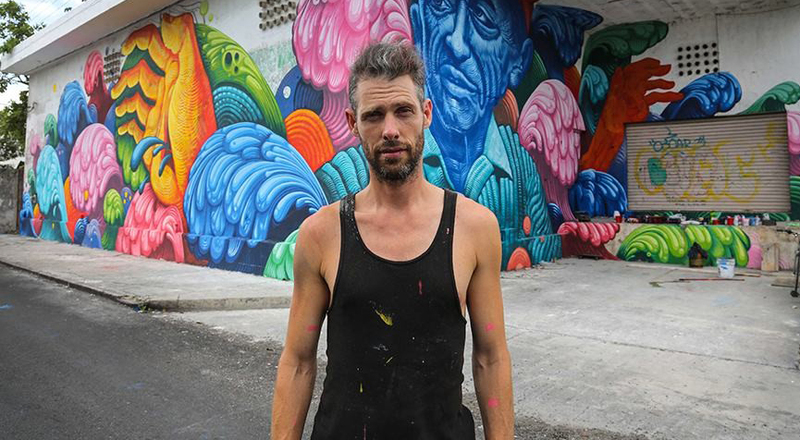 Since receiving his BFA from the Alberta College of Art and Design, he has made a name for himself as the co-creator and director of EN MASSE. He has exhibited his art worldwide and locally, including the Big Bang exhibition at Montreal Fine Arts Museum in 2011. His art has found a place among many prestigious private and corporate collections. He now lives in Montreal. With a practice spread across painting, drawing, sculpture, muralism, photography, graphic arts, and cinematography, Jeremy Shantz’s work is best described as west coast-infused and pop surrealist. Born in British Columbia, he studied classical painting, sculpture, film, and creative electronics, receiving his BFA at UBC-Okanogan and Emily Carr. He now lives and works in Montreal and exhibits internationally.